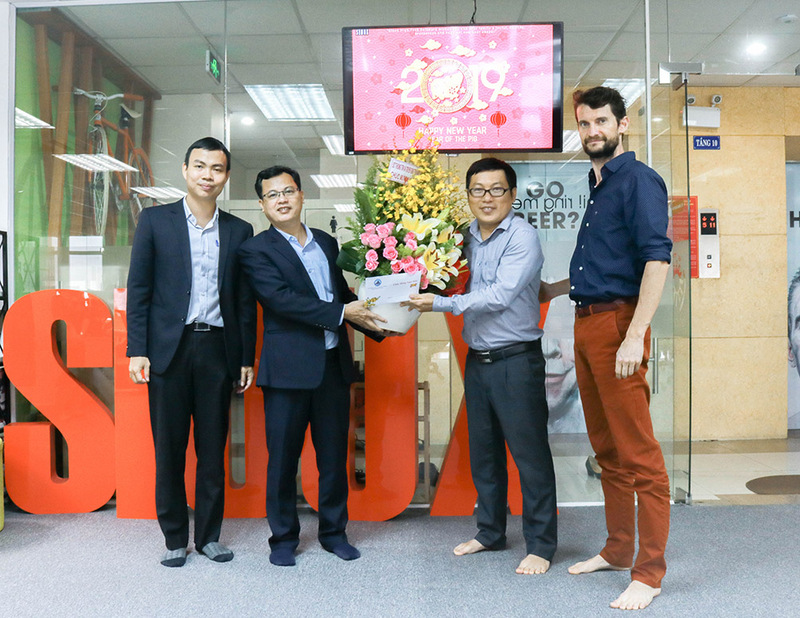 After Tet Holiday, last Monday on February 11, 2019, the representatives of Danang Information and Communications Department (DNICM) visited Sioux High Tech Software. During this time, DNICM presented flowers, expressed their pleasure and sincere thanks to the contributions of Sioux High Tech Software in the development of Danang city and wished Sioux a successful new year. Both sides talked about the projects that completed in 2018 and discussed new projects in 2019. In addition, Sioux updated the Feedback App Project's status (Góp ý Đà Nẵng) and planned for "Give and Take" App (Cho và Nhận) - a new project that Sioux contributes to Danang City which is expected to be released in 2019. Along with our efforts, Sioux is eager to contribute to the community by doing more non-profit projects to support the development goals of Danang City to be much more modern and civilized in 2020.